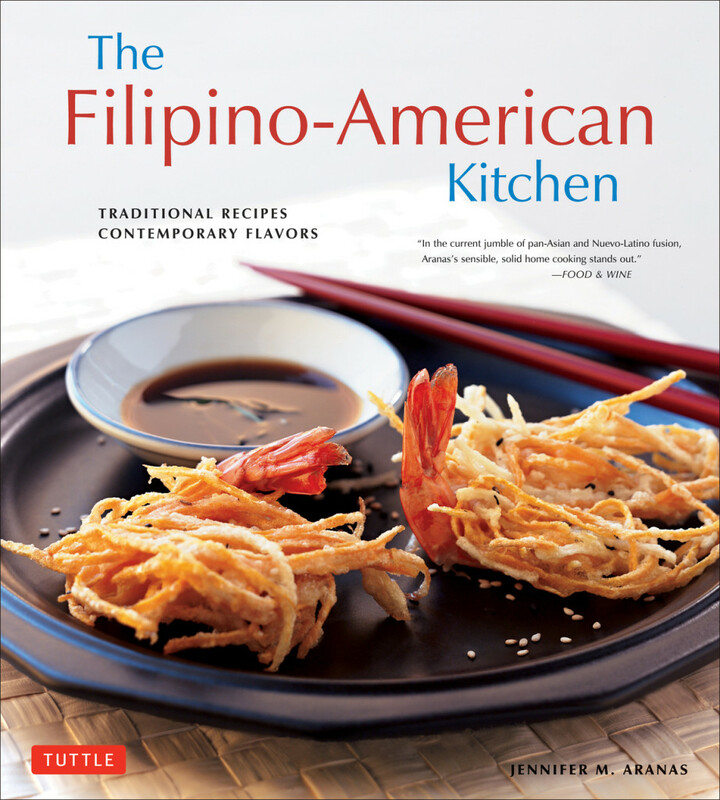 The Filipino-American Kitchen: Traditional Recipes, Contemporary Flavors, written by Jennifer M. Aranas, features over 100 recipes and takes a closer look into the cuisine of the Philippines in an American kitchen. You will find traditional, authentic recipes like Hipon Rebosado (Battered Fried Shrimp), Halo-Halo (Filipino Fruit Sundae), Lumpia Shanghai (Shanghai Egg Rolls), Arroz Caldo (Chicken and Rice Porridge), and Pancit Guisado along with new twists on old favorites such as Lamb Casoy (Cashew Crusted Lamb Chops), Rainbow Trout Stuffed with Kabocha Squash and Water Spinach, Chocolate Brazo de Mercedes (Meringue Roll with Chocolate Cream), Adobong Pato a la Monja (Duck Adobo with Pineapple and Dates), and Saffron Rice with Chinese Sausage. Disclosure: I received this book from Tuttle Publishing in exchange for my honest review. All opinions and statements are my own. This post contains Amazon affiliate links. If you purchase something through the link, I may receive a small commission at no extra charge to you. Jennifer M. Aranas was born and raised in Chicago. Her parents are from Cebu and moved to the United States in the late 1960s. She started Rambutan, Chicago’s first fine dining Filipino restaurant, in 1998 and ran it until 2002 with her husband. She is now a food writer and cooking instructor in Chicago. Chapters are divided based on course: The Basics, Appetizers and Small Bites, Soups, Pickles and Salads, Rice and Noodle Dishes, Poultry, Meat, Seafood, Vegetables, and Desserts. At the beginning of each chapter, Aranas describes the featured dishes with background information and why she chose them for the book. Along with the recipes, you will learn about the history of Filipino cuisine and how it has been influenced by Malaysia, China, Spain, Mexico, and the United States to become the amazing, flavorful melting pot it is today. The basics section also helps set the foundation with recipes for homemade stocks, condiments, and dipping sauces. The book ends with a buying guide for Filipino ingredients and information on the varieties of rice, noodles, wrappers, coconut, spices, seasonings, and produce. An online and mail-order shopping guide is also included for those without an Asian food market nearby. As a note, there isn’t an index, but the recipes are listed before each chapter. The 75 color photographs are provided by Brian Briggs and Michael Lande, generally of the finished dish. Measurements are provided in US Customary and Metric. Every recipe includes a headnote with information, ingredients and substitutions, and tips. The name of the recipe is listed in English and generally Tagalog. This book is a great choice for those new to Filipino cuisine or wanting to try new flavors. The recipes have been developed with the home cook in mind. Most are fairly easy to make with easy-to-follow instructions. There is a diverse collection of dishes from appetizers to desserts, though you won’t find any beverages. Having an Asian food market nearby featuring Filipino foods is helpful for accessing some of the ingredients such as oyster sauce, candied pili nuts (macadamia nuts can be substituted), coconut vinegar, dried shiitake mushrooms, chorizo de Bilbao, and kangkong (water spinach). A quality seafood market is also a plus for the seafood chapter. 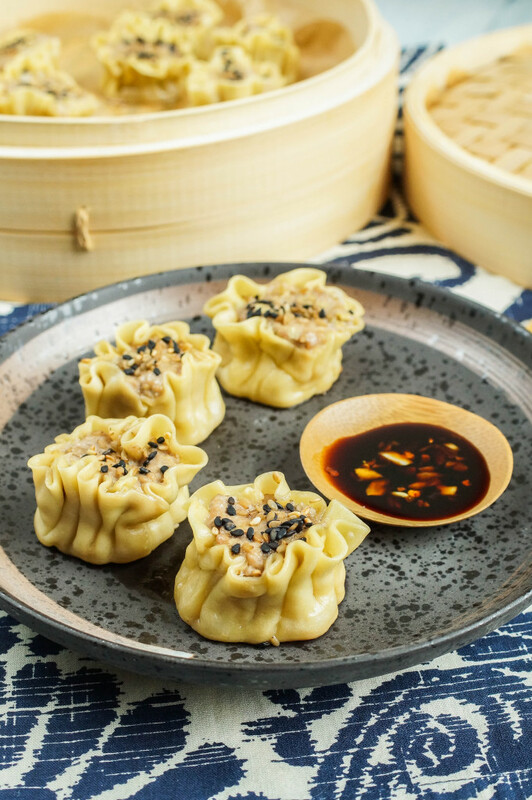 Shumai (Siomai) are Filipino dumplings that were introduced to the country from China. Instead of being fully enclosed by the wrapper, the tops are left open in a tulip-like shape. 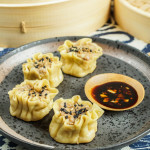 These dumplings are filled with a seasoned pork and cabbage mixture, then steamed until cooked through. They are paired with a delicious soy sauce-based dipping sauce. To steam the dumplings, I used a parchment-lined bamboo steamer set over a wok filled with just enough water to not touch the bottom of the steamer. I froze the extra dumplings on the parchment-lined baking sheet until solid, then transferred them to a freezer bag. I steam them straight from the freezer with a couple of minutes added to the cooking time for a quick snack or light lunch. You can also double this recipe to make a lot at once for extra storage, though it seems mine always disappear in the same amount of time regardless of the quantity. I roasted the garlic for the dipping sauce by slicing off the top of a head of garlic to expose the top of the cloves and drizzled them lightly with olive oil. I wrapped the garlic in foil and roasted in a 400 degree F oven until golden and easily pierced, 30-50 minutes depending on the size of the garlic. The wrappers can be found in the refrigerator or freezer section of many larger grocery stores or Asian food markets. I made my own wrappers, because I have gotten spoiled on the taste and how much easier they are to handle. Oyster sauce is a dark brown sauce created by cooking oyster extract with salt and sugar. It is common in Southeast Asian cuisines. Check the labels before buying. Lower quality sauces include caramel coloring or other additives. It can be found in Asian food markets or some larger grocery stores. 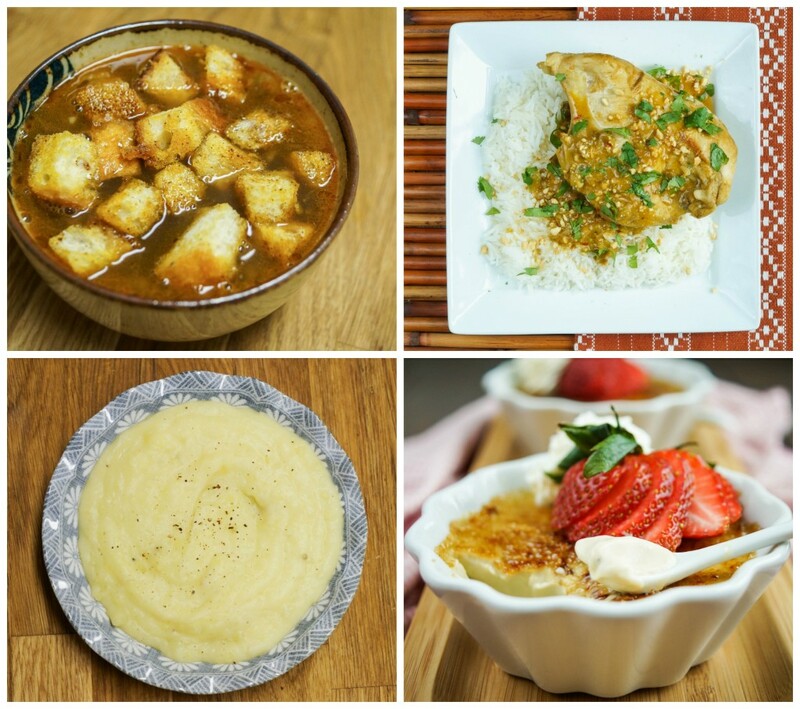 I also made Sopa de Pan a la Diabla (Bread and Chorizo Soup), Pipián (Chicken in Peanut Sauce), Coconut-Garlic Mashed Potatoes, and Earl Gray Natillas (Tea Custard). I made the Sopa de Pan a la Diabla (Bread and Chorizo Soup) on a day that both Chad and I were sick with colds. 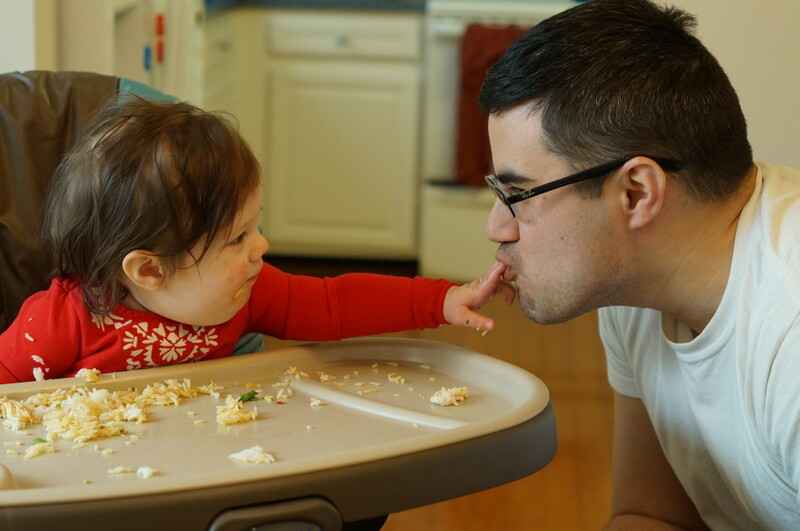 It was incredibly easy to put together, but so perfect for us feeling under the weather. A sliced onion is caramelized and tossed with sliced chorizo de Bilbao (Filipino semi-cured sausage with paprika) and simmered in a seasoned beef stock. It is topped with homemade croutons (I loved this extra addition) made from cubes of bread tossed with paprika and olive oil, then toasted until golden. Pipián, Chicken in Peanut Sauce, was introduced to the Philippines from Mexico by way of the Spaniards. I made this for my family when my (Filipino-American) mother-in-law and father-in-law were over for lunch. It was a huge hit, particularly with my daughter. Chicken breasts are simmered in a peanut sauce seasoned with annatto, garlic, chile, rice wine, and vinegar. It is thickened with rice flour and served with rice. Aranas also includes a variation for Pipián Casoy with cashews instead of peanuts. Aranas adds a bit of Filipino flavor to mashed potatoes by mixing in garlic and coconut milk. This was a simple side dish, but I loved the variation in flavor. It is the perfect accompaniment for meat or the holiday table. The elegant Earl Gray Natillas (Tea Custards) are the perfect way to end the meal. The custard base is seasoned with Earl Gray tea and poured into individual serving ramekins. It is baked in a water bath, then refrigerated until chilled. Similar to crème brûlée, it can be topped with sugar and torched until caramelized. To make the dipping sauce: Combine the soy sauce, garlic, vinegar, and sambal ulek or red pepper flakes. Set aside or refrigerate until ready to serve. 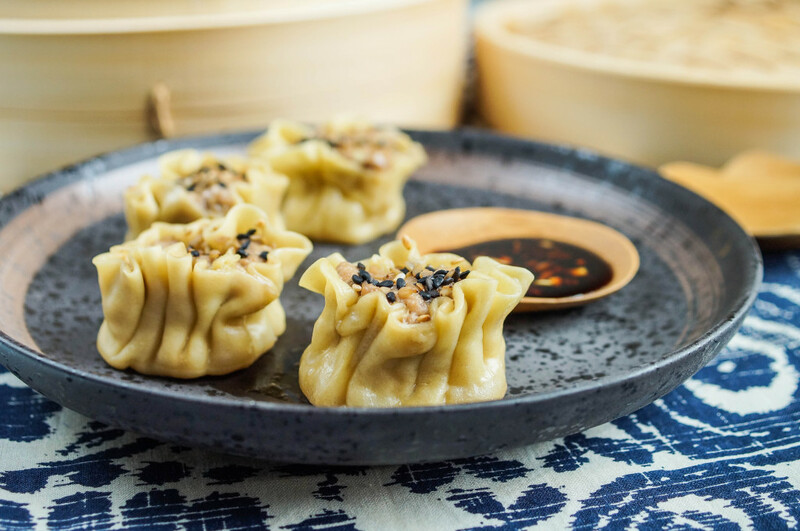 To make the dumplings: In a large bowl, mix together the pork, garlic, ginger, oyster sauce, soy sauce, and black pepper just until combined. Mix in cabbage. Line a large baking sheet with parchment. Fill a small bowl with water. Remove the dumplings from the package and cover with a lightly damp cloth on work surface. Lightly moisten the edges of a dumpling wrapper with water, then flip over so the dry side is up. Spread about 1 heaping teaspoon evenly over the surface of the wrapper. Either place the wrapper in the palm of your non-dominent hand or evenly across the circle made from putting the tips of your thumb and forefinger together. Use a knife or your spoon to press the edges of the wrapper towards the center around the circle, leaving the top of the dumpling open. 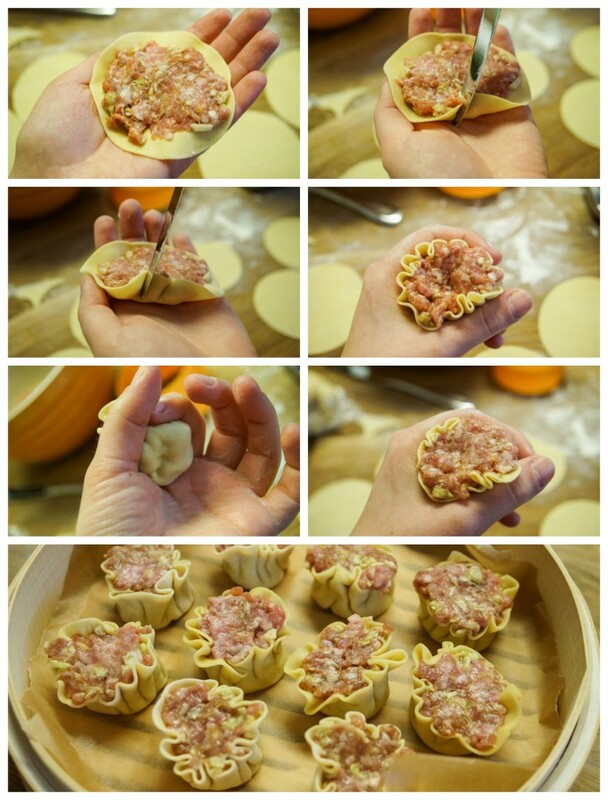 Tighten your forefinger and thumb around the sides of the dumpling to seal and form a tulip shape. Use the back of a spoon to smooth out the top of the meat filling. Place on the parchment lined baking sheet and repeat with remaining wrappers and filling. Arrange on the baking sheet in a single layer, without touching. 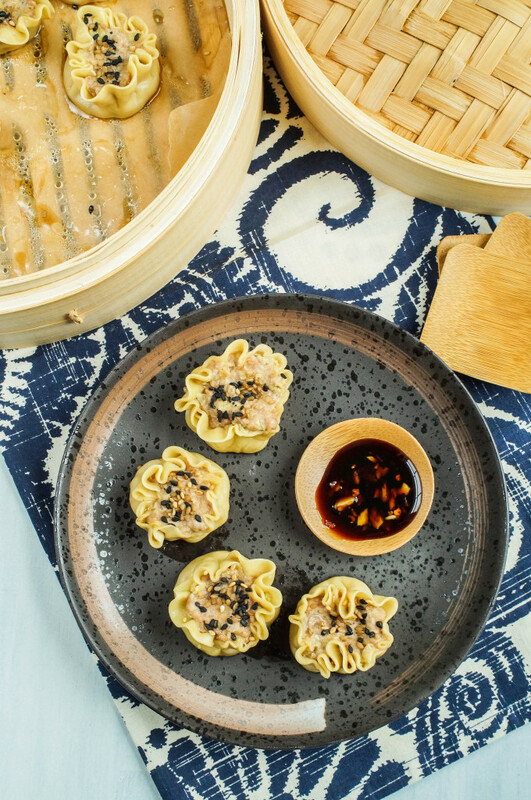 To cook the dumplings: Place the prepared dumplings in a steamer, being careful not to overcrowd. Cover and steam until the dumplings are firm and cooked through, 8-12 minutes. If desired, top with sesame seeds. Serve hot with prepared dipping sauce. What a perfect cookbook for you! This looks amazing and I can’t wait to make them. I was wondering if these dumplings could be cooked in an Instant Pot on the steam setting for say 1-2 min. By the time it comes to pressure and then steams it should equal the same amount of time as steaming on the top of the stove. Hi JoAnn! Unfortunately I have absolutely no experience with an Instant Pot so I have no idea. Let me know how it goes!